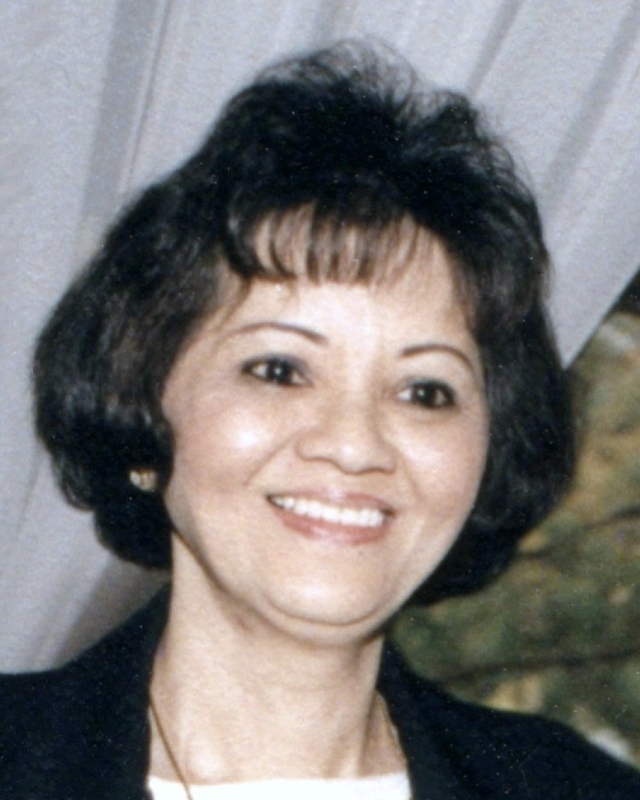 Muot Nguyen, 70, of Methuen passed away Wednesday, January 23, 2019 at Lahey Clinic in Burlington. She was born in Vietnam and was the daughter of the late Le Huynh and Tuong Le. Mrs. Nguyen came to Lawrence in 1975. She worked for many years at Schneider Electric in North Andover. She was a devoted wife and mother, raising four children. Mrs. Nguyen is survived by her husband, Cho Nguyen; children, Nghia “Nick” Nguyen of Methuen, Cindy Small and her husband Michael of New York, Andy Nguyen and his wife Cui Lin of North Andover, and Nhut Nguyen of Methuen; siblings, Le Trinh and her husband Nam of California, Hoa Huynh and his wife Xuyen of Lawrence, and Thuan Huynh and his wife Nga of Lawrence; grandchildren, Chloe and Olivia Nguyen. She also leaves many nieces and nephews. The family requests that flowers and donations please be omitted. Relatives and friends are respectfully invited to attend visiting hours on Thursday, January 31, 2019 from 4:00-8:00 PM at Cataudella Funeral Home, 126 Pleasant Valley Street in Methuen. Funeral services will be held on Friday, February 1, 2019 from 7:00-9:00 AM in the funeral home chapel. Burial will follow in Elmwood Cemetery in Methuen.